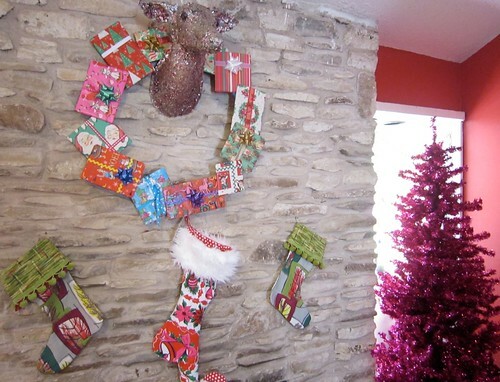 My fireplace was just begging for a holiday makeover and who was I to say no. 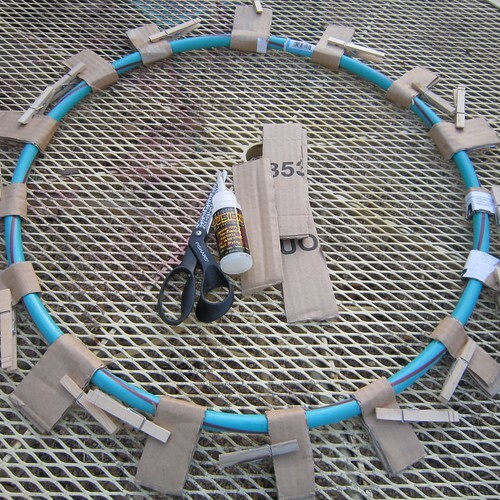 A ready made wreath large enough to not look dwarfed on my stone wall was either too expensive or just not my style, and that's when I remembered Tallulah's abandoned Hula Hoop and the fun began. I needed some faux gifts to wrap so the first thing I did was look around for small boxes. I didn't have any boxes so I cut out squares and rectangles from an old cardboard box I had lying around the house. 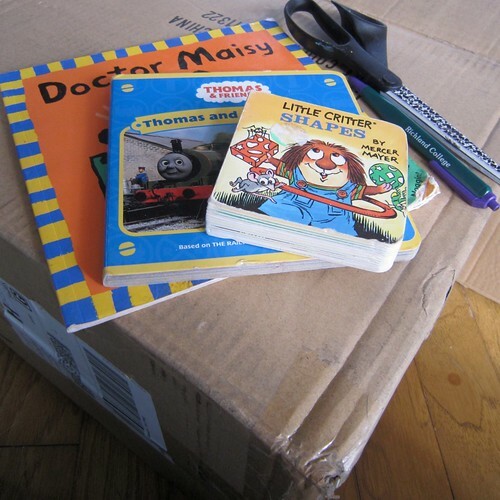 I used some of Tallulah's small board books as a template. 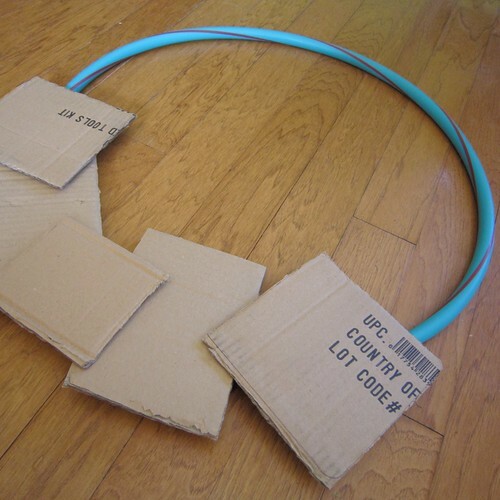 I made sure that I had enough cardboard shapes to fit around my Hula Hoop. I might mention that my Hula Hoop is smaller than most. I bought it for Tallulah to play with this summer and I think she touched it once so I took it upon myself to upcycle it. 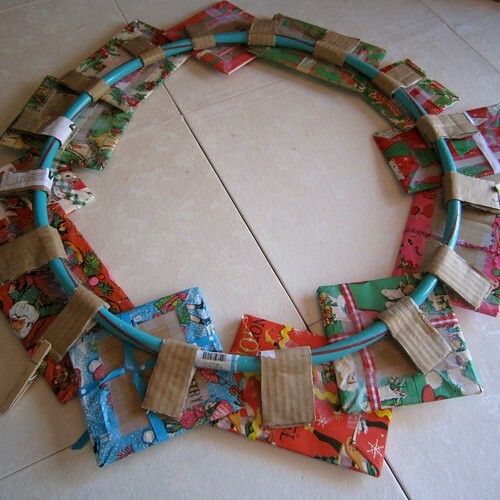 While the glue on my wreath dried I used the time to wrap my gifts. This project ended up being a perfect way to display my vintage wrapping paper collection. 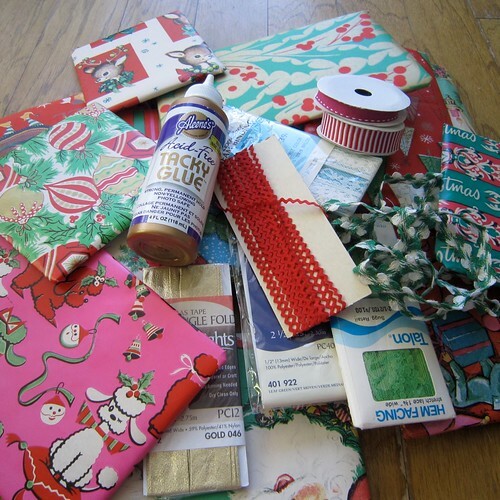 I show Collage Pauge in the supplies picture, but I ended up using Aleene's Tacky Transparent Tape for Crafters to wrap my gifts. I used a combination of Tacky Tape and Tacky Glue to adhere decorative ribbons to the packages. 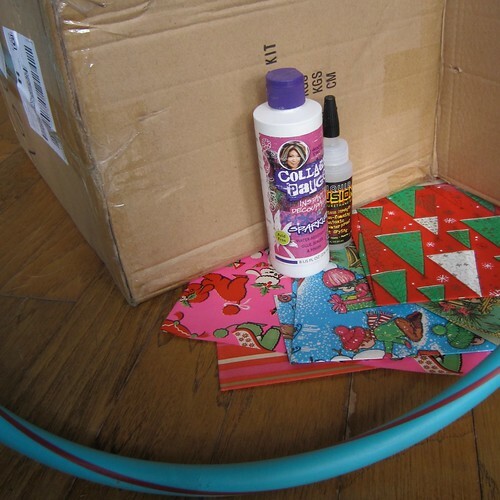 I placed all the presents on my Hula Hoop to get an idea about spacing. Actually, my mother did while I chased Tallulah. Once we were pleased with the way the gifts looked we attached the gifts to the wreath using an Aleene's Hot Glue Gun. After the gifts were attached to the wreath we flipped it over and really anchored things down by adding Liquid Fusion Glue. 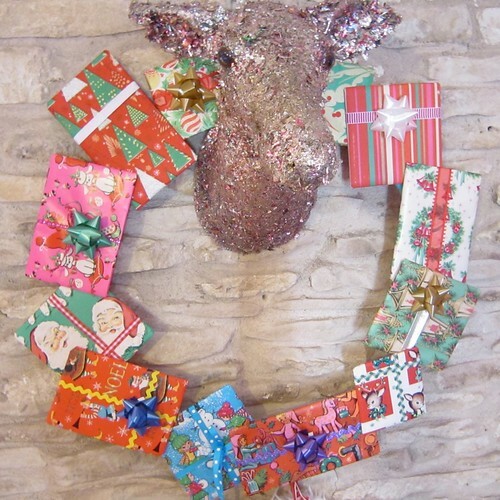 Got any big wreath plans for the holidays? I'm always looking for more decorating ideas and would love to hear yours! FREE SHIPPING through December 13, 2010.Craft on!Click here for today's daily giveaway!